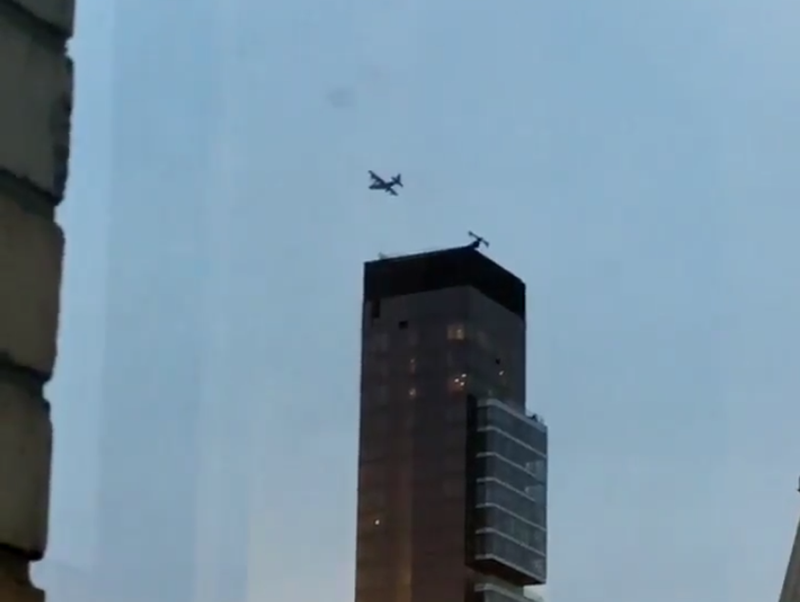 There’s a C-130 circling New York City right now. Why? No one knows. Rest assured, however, that it is “not normal,” according to one aviation reporter who knows about such things. We have an email in to McGuire Air Force Base in New Jersey, which has a bunch of C-130s, and will update with our findings. We’ve left a message with the 102nd Rescue Squadron and 106th Rescue Wing and will update with more information as we have it. Our national nightmare is not yet entirely over. While Colonel Broccoli has not gotten back to us personally – despite our calls, emails, and tweets (even tweets!) – Joint Base McGuire did get back to us, and is saying that the C-130 isn’t theirs. I think it’s safe to declare this one over. Go back to your lives.